Weekly Weird: One Hot Mama? 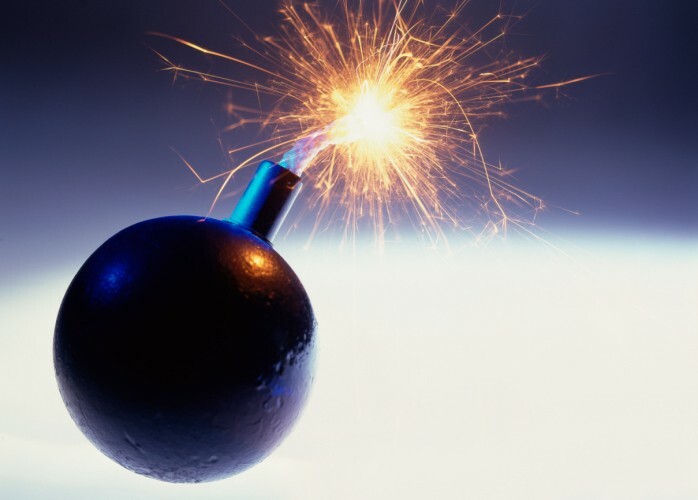 Mom Mistaken for Bomb … Panic Ensues! While air traffic controllers slept and texted in the tower, a fake flight attendant stole from passengers, and a metal detector was left unmanned. It was another weird week in travel! A Fox 5 News report from a mole inside the air traffic control tower at Westchester County Airport showed video of controllers sleeping, reading, and texting on the job. The FAA says the Westchester tower was being used as a temporary break room during some maintenance, and that everyone on the video was on break, but the informant claims the video captured on-duty bad behavior. Did the GPS tell this guy to turn at the wrong place? ABC 6 reports that a 24-year-old man crashed through a gate and drove onto the runway at Philadelphia International Airport on Thursday morning, causing the airport to shut down for 24 minutes. It doesn’t look like an accident, though. The suspect allegedly lurked outside the gate, waiting for a plane to land before gunning it at the gate. I thought it was my turn for a coffee break! The AP reports that a security checkpoint at Sacramento International Airport was left unguarded for a short period of time, during which five people went through a metal detector without having been screened. Two TSA officers have been removed from screening duties while the incident is investigated. Someone will probably be turning in his fake flight attendant uniform for a real prison one soon. A man posing as a flight attendant was arrested at Newark Airport and charged with theft after allegedly stealing items coming out of an X-ray machine at a security checkpoint. Unfortunately for the fake flight attendant, his shady actions were reportedly caught on video. There’s a Mom on Board! And finally, a well-intentioned Southwest Airlines pilot made an announcement wishing an air traffic controller’s mom (who was a passenger aboard the flight) a happy birthday. Unfortunately, edgy passengers misheard “mom on board” as “bomb on board,” causing panic. A Southwest spokesperson told WCBS 880 that the pilot clarified his announcement, but the passengers were not placated, and two of them complained to security officials after landing. Readers, did you see anything weird during your travels this week? Leave a comment below!